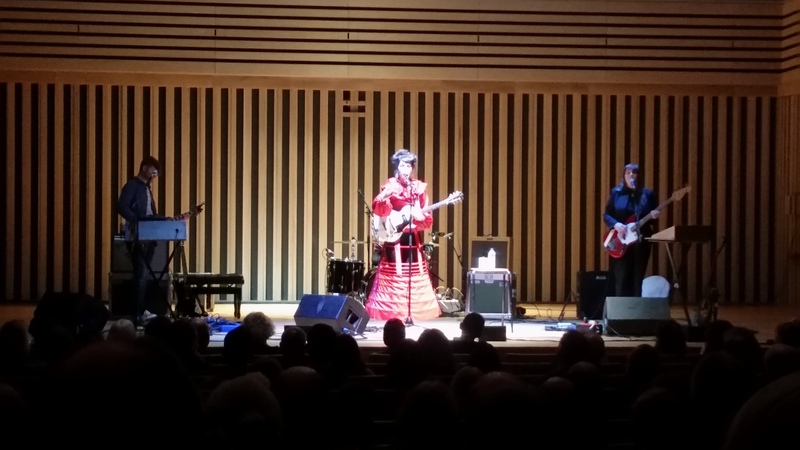 Resplendent in a remarkable red dress which makes her look part flamenco dancer and part Dalek, Jesca Hoop takes to The Stoller Hall stage for something like a homecoming gig. Though originally from California, for the past nine years she’s been living in south Manchester. 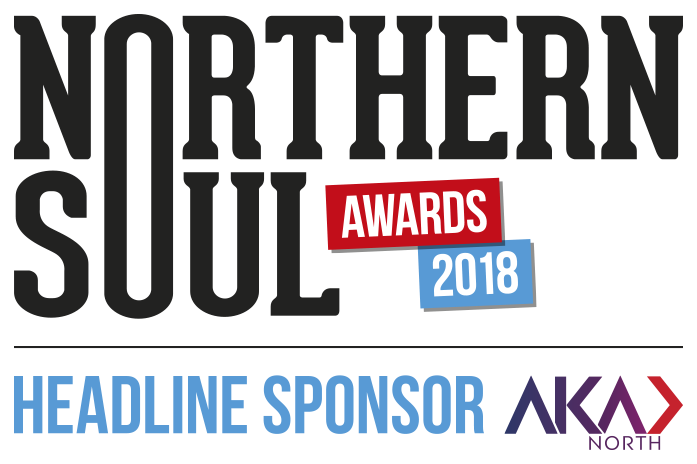 In that time, she’s developed into a genuinely interesting artist, though we’ll never know how much the north of England has played its part in that evolution. Hoop announces that this is the first seated Manchester show she’s ever done, though she doesn’t sound entirely convinced that this is a good thing. 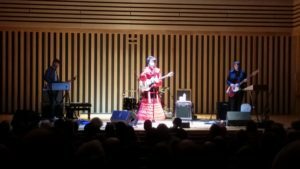 In fact, the exemplary, intimate acoustics of the Stoller Hall – think The Bridgewater Hall‘s younger sibling – really suit her sound and show off her voice. Her three-strong backing band is super-tight, by turns powerful and soft in all the right moments. Increasingly, Hoop’s music, as showcased in this year’s entrancing Memories are Now album, can be pretty sparse at times, more like pointillism than broad brush strokes. The set list takes a good few detours from the current album which makes plain how she’s evolved. Songs from her earliest albums like Hunting My Dress, Tulip and Havoc in Heaven offer a beguiling, idiosyncratic take on folk-infected rock. Later material – Peacemaker, Dig This Record, Deeper Devastation – feels increasingly soulful, packing a mighty emotional wallop within delicate arrangements, whereas When I’m Asleep is outright pounding. 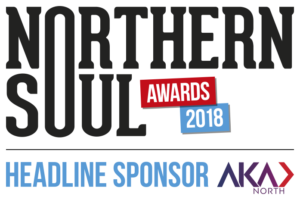 The recent Memories are Now songs are often darker, edgier and more angular, from the skipping rhythms of Animal Kingdom Chaotic to the gentler, acoustic approach of Pegasi, to the album’s brooding lead track The Lost Sky which will surely be familiar to anyone who’s been within earshot of BBC 6 Music in the past year. They’re all presented without any flashy theatrics or lightshow, beyond that dress and dimming the stage a bit after a few songs at Hoop’s request. There’s no need for any unnecessary clutter, and the songs themselves are rightly front and centre. Plus, the weaving vocal arrangements are such a vital part of the sound that it would be counter-productive to distract from them. For the encores, Hoop returns to the stage to perform the spartan City Bird and a gobsmacking a capella version of Storms Make Grey The Sea. As show-stoppers go, it’s a belter. Hoop’s songs are at their best when they’re at their most out-there, ploughing a fresh furrow away from obvious influences, which would appear to be where she’s heading. All things considered the suspicion remains that a truly great one still lurks somewhere within. Thankfully her talent shines forth from the songs, and although she has a devoted following, her work still deserves to be more widely heard. This certainly feels like a special show and there’s fine stuff going on here, though Hoop herself has a curious, mannered, slightly stand-offish stage presence which sits awkwardly with the soul-baring of her songs. 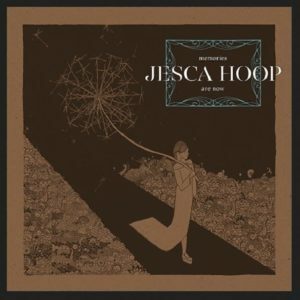 When you’re as gifted as Jesca Hoop, it seems a shame not to just go with it.